Gospel singer Kim Burell has created a whirlwind of media attention and it isn’t positive. 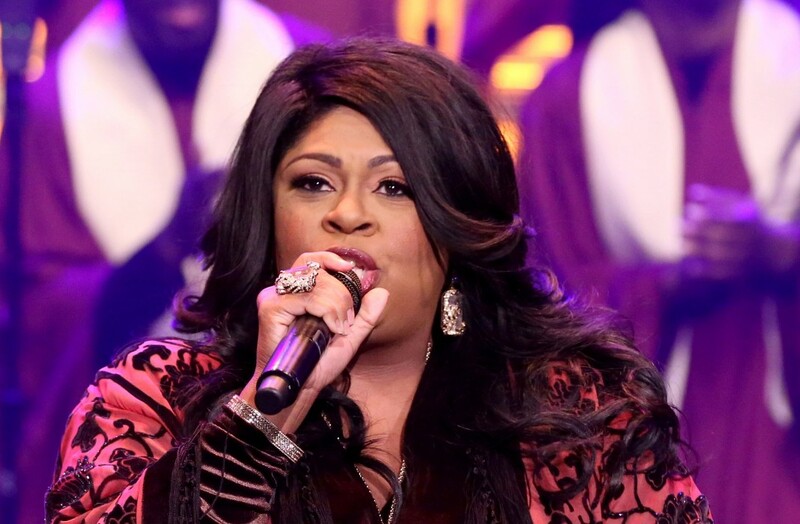 During a live performance, Kim Burrell praised Le’andria Johnson while simultaneously throwing shade at Fantasia. This created online drama that has not been without notice. Not only did the comments stir up strife and contention, but Fantasia later responded to them while she was performing. Social media continues to weigh in on the debate with many people choosing to stand up for Fantasia and against Burrell. First, if you haven’t seen the video of Kim Burrell making the comments you can watch it in the video player below. Essentially, Kim Burrell was saying that if they want to turn Aretha Franklin’s life into a movie, they should have Le’andria Johnson sing in it rather than Fantasia. Fantasia was one of the vocalists at Aretha Franklin’s public memorial service. The diss was to say that Fantasia doesn’t sing as well as Le’andria. It’s also unclear if any offers have been made to Fantasia to portray Aretha Franklin in a movie. There are reports that Jennifer Hudson will portray Aretha in the MGM movie Respect directed by Liesl Tommy and written by Thelma and Louise’s Callie Khouri. You may see the video with Kim Burrell making the comments in the video player below. What many people don’t understand is why Kim Burrell brought up Fantasia’s name to begin with. Many found the remarks not only hurtful and cruel but unnecessary as well. Fantasia responded to the remarks during her live show and a video by GossipGirlXoXo has gone viral. Check out GossipGirl’s exclusive report and watch the videos of Fantasia responding to the diss in the video player below. Fantasia really opened up about her life, and how hard she has had it with people judging her. This is one argument where people are clearly siding with Fantasia and are even responding positively to the way she handled the remarks. Fantasia delivered a heartfelt message that nearly bordered a sermon as she encouraged people to show God’s love to those who are down and live their lives to lift people up instead of tearing one another down. Many have said that the fact this is is all playing out in the arena of Gospel music is a shame. What do you think of the way Fantasia handled the remarks? 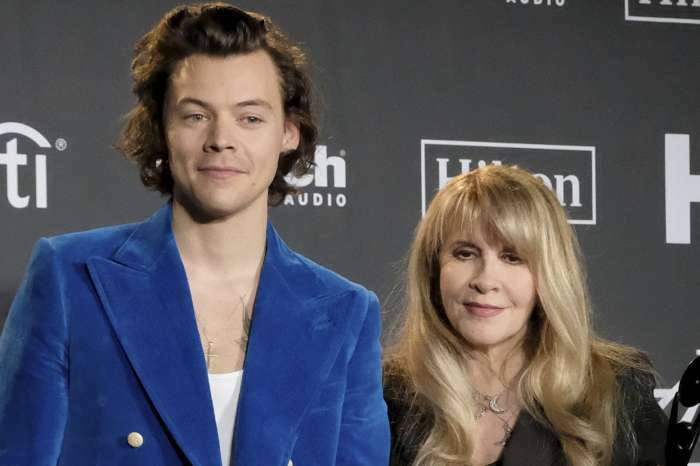 Stevie Nicks Mistakes Harry Styles For An NSYNC Member - Gets Made Fun Of On Social Media! Fantasia doesn’t scream anymore than All and Any other gospel singer. Aretha was the Queen of soul (and the person in topic)and she screamed. They all holler. Not that there is anything wrong with that style of singing . It actually comes from the church. We used to she can “holla” it was not a negative connotation. Yolanda , Shirley,Karen Clark, y’anna Crowley, Mary Mary and just about every Sundays Best contestant. Leandra didn’t win the show because she didn’t belt(scream). Anyway she can sing but she’s no great singer . Let’s be real. The aforementioned and plenty others can sing circles around her. The main issue is Kim hatin sanctimonious behind was wrong for talking ill of another artist. Kim told the truth, now all the so called saints are butthurt but truth be told, fantasia screams all her lyrics and Johnson is a great singer who happens to be a lush. SPIRIT touches and Uses us in different ways each of us (GOD’S children) are Fearfully and Wonderfully Made. Truth is just cause you like either singer better 4 whatever Reason, Then that’s only your Truth and if You say Tell the Truth or This is True always be Sure you’re speaking for yourself and Only YOU..Tho some folks will agree the Majority never will. I’m SAD because a PROVERBS 31 woman whom we all aspire 2B should never speak that way! Kim Burrell is the reason why people stay away from the church. Fantasia is annointed by God and Kim is mad because her life is a testament of living hell.. Fantasia voice and spirit touches my soul more than Kim or any of those hypocritical so-called gospel singers. This is exactly why the church is empty, God gives us all gifts and treasures within ourselves to glorify him, and instead of holding each other up we have some people who think they are so privileged that they can compare, cause trife within the body of God, me I call a demon out and I never cared for Kim Burrell cause to me her arrogance is ugly and transparent, this was so uncalled for both of those artist have awesome talent and testimony past and present, and both are keeping it going, but you keeping it going and you going thru at the same time now here comes the demon to take you down, either one of these two ladies need Burrell’s comparison if anything they need all of our prayer, but at the end of this situation Burrell need prayer the most, it a long way falling off of that high horse Burrell remember that, the last will be first, stop being gospel messy, shameful, shameful, shameful is our God of you right now!!!! I am very disappointed in Kim Burrell. It was unnecessary for her to even utter Fantasia’s name. Both Leandria and Fatasia are awesome singers. They have a different style of worship. That doesnt make one a better singer than the other. Kim Burrell you should know better. Fantasia handled this like the woman of God she is. Fantasia I salute you baby girl. Keep giving God glory. Kim Burrell was out of order. I love Fantasia and LeAndria, but the shade waa not called for. Kim needs to stop being a mess in the name of Jesus. There was nothing Godly about this situation. It saddens me to see to know that when we speak the truth it’s taken out of context. I personally think that Fantasia would sound so much better if she sang and not scream it’s difficult to enjoy the music. Now on the other hand the way LeAndria has allowed her illness to be played out in the public is sad.. reaching out for help is okay but the fowl manner in which she has been seen This Is My opinion Aretha was and always will be known for acting like a lady, she would not want any singer to play her who has been so disrespectful to herself and the African American community. Good luck to all. The point is Kim is suppose to be a pastor and she should be uplifting people vs. being negative and putting others down. There was reason for her to even mention Fantasia because she’s not even playing Aretha.